The arts and crafts store in Brownsville, Texas donated more than 300 books to our program's children. An assortment of books for all ages was received, from short stories, chapter books, crosswords, to coloring books. Michaels' commitment is to focus on families and children, and through our program they continue to fulfill it by making a difference in our children's lives. Charming Charlie at Brownsville hosted our department for a charity event. The store opened their doors to customers and gave us the opportunity to collect a certain percent of their sales to our cause through their "Chic Charity Events". The customers and the community were receptive, kindhearted and interested to know more about our department's purpose. A special thank you to the company and their staff for giving us the opportunity to raise money for our students and their needs. National Library Week was observed during the week of April 9-15, 2017, with the theme, "Libraries Transform". Schools across our district celebrated libraries and their staff. Mrs. Clough was invited by Aiken Elementary to help commemorate the week by reading to a group of students. National Library Week served to remind the community, schools, and students, that the library is an indispensable resource that transforms people's lives and the community itself. "Because learning to read comes before reading to learn." As a friendly goodbye the Migrant Department hosted its 2nd Annual Migrant Send Off. Departments from across the District and several community agencies reunite to remind parents and students of the different services that our District provides for them for when they return back home. ​The United States Border Patrol Fort Brown Station held a "Winter Coat Drive" for their "Colonia Outreach Event". Agents, secretaries and personnel from the station donated sweaters and jackets to benefit the children in our program. Over 60 items were brought in by Agent Leonardo Barrera and Agent Jill Montemayor. In August of 2016, this family came in to our office in need of enrollment letters for the children to begin school. It was then when Mrs. Esparza, Federal Programs Administrator, was captivated by the enduring and heartfelt life of each one of its members. She knew from that day that she wanted to share her blessings with these children. For many years, the Special Programs Department, Federal Programs Department and the Parental Involvement Department have adopted a family for Christmas in hopes to bring smiles during the season. This year was no exception, the smiles on the children's faces assures them their mission was truly accomplished. ​​The City of Brownsville Police Department and Chief Orlando Rodriguez donated over 100 tickets to children in our program. This event is made possible after a long year effort including a golf tournament, fundraisers, as well as donations from various sponsors to acquire gifts. The toys are given away to City of Brownsville Children before Christmas. ​With hard work and in the midst of conflicting semester exam schedules, the National Honor Society members coordinated a Christmas Toy Drive at Hanna Early College High School. In cooperation with their principal and teachers, they promoted the event with announcements and reminders. The entire Hanna student body came together and gathered several donation boxes filled with toys for the children in our program. The University of Texas Rio Grande Valley in collaboration with Brownsville I.S.D. middle school and high school students presented "Flutiz Navidad" at the Texas Southmost College Arts Center. To help the community, these musicians donated canned goods in lieu of a participant fee. "I invite high school/middle school students and community members of all ages to grab a flute and join us to sight read Christmas carols. After rehearsal, we have refreshments and then perform the carols in the lobby of the TSC Arts Center before the UTRGV Home for the Holidays concert. It's such a fun time for everyone!" 44 children in our program celebrated an early Christmas at the Carlotta Petrina's Kids Café Posada. The event was organized by the Housing Authority of the City of Brownsville Board of Commissioners and Administration. The International Christian Center, Brownsville Junior Service League, Mr. Ken Parks, Choice Neighborhood Liaisons, Buena Vista residents and Santa Claus joined them with tamales and candies. Each child received an Amazon Fire tablet along with other gifts. ​The U.S. Customs and Border Protection agents and U.S. Customs and Border Protection Law Enforcement Explorer Post 3103 delivered toys to children in our program who are currently in our cities hotels/motels on Christmas Eve. The Cameron County Sheriff Deputies Association and J.C. Penney hosted "Shop with a Cop" for a number of children in need belonging to our program. They provided a fun filled morning while creating a positive relationship with law enforcement. Uniformed officers volunteered their time and got to know the children as they accompanied them around the store to shop. Afterwards, the children and their parents joined the officers at the Sheriff's Department for a luncheon. ​From district administrators, faculty, teachers and students to the community, many toys were donated to the Superintendent's Christmas Toy Drive. All toys were donated to our office in hopes to bring a merrier Christmas to the children in our program. ​Brownsville I.S.D. students held the Annual Thanksgiving Canned Food Drive. These items were then brought to our department to share with the project’s families. Over 300 families have been helped through our department. 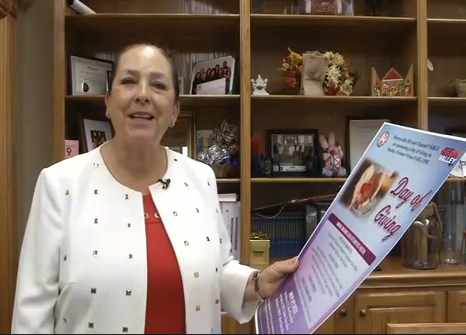 KRGV TV Heart of the Valley, city-wide Wal-Mart stores, Brownsville community and our project united on October 9, 2016, for a Day of Giving. Our community donated from clothing, shoes, food to hygiene products for the children in our program who are in less fortunate situations. Thank you to all the people who made this event’s outcome a success by receiving over 500 bags of items for our students. A collaboration with the University of Texas at Houston Health Science Center, University of Texas Rio Grande Valley School of Medicine, Brownsville I.S.D. Health Services and our program, we were able to assist the students in our program to receive free medical services. The children were able to receive full health screenings, immunizations and physicals exams from Dr. Zeeger and Dr. Griffin. ​Our project along with B.I.S.D. Parental Involvement, Health Services, and several community agencies, partnered to prepare our district’s students for their first day of class at the annual “Brownsville I.S.D. Back to School Health Outreach”. ​The Brownsville I.S.D. Transportation Department and the Wal-Mart Store located in Brownsville's FM 802, held an event in which they urged the community to fill a B.I.S.D. bus with school supplies. Over 500 items were collected for our students. ​Cricket Wireless at Paseo Plaza in Brownsville hosted our department in preparation of back to school. 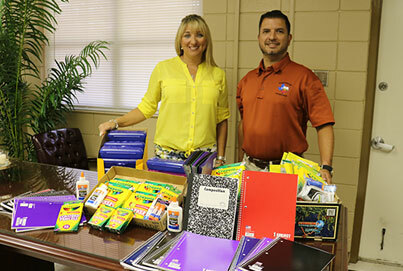 Customers brought in school supplies and received free activation on new service lines. All supplies donated benefited our students in need. Homer Hanna High School Class of 1996 "Gives Back to the Kids of B.I.S.D." 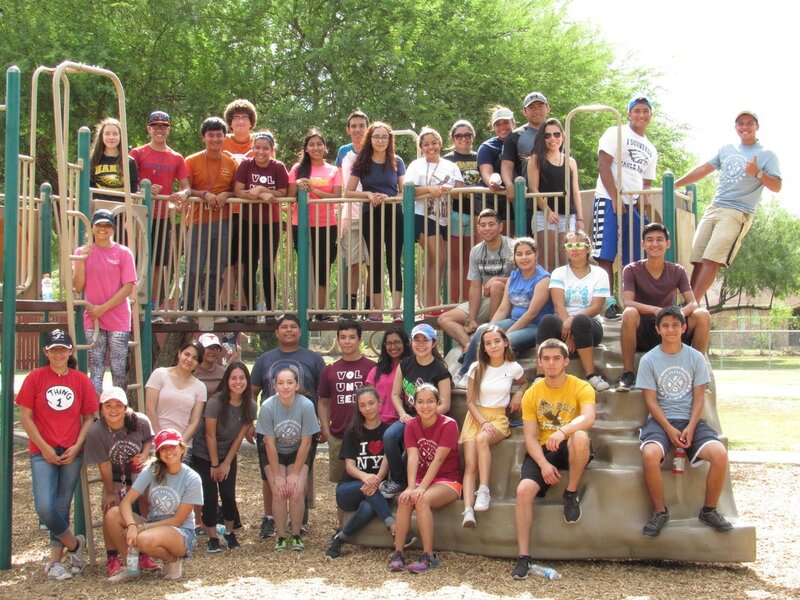 This alumni gathered for their High School Reunion and decided to make a difference to the district that saw them graduate by asking for their fellow graduates to bring in canned and non-perishable food items in lieu of an attendance fee to their high school reunion. Their food donations helped out more than 50 families in our program. The Hanna Alumni will make this their tradition and is hoping to make an even larger donation in their 25th year reunion. 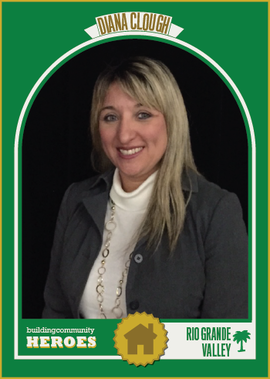 "We are proud to be a part of the Hanna High School Class of 1996. We didn't just get together for a party and to reminisce, we joined hands and made a difference." ​The U.S. Customs and Border Protection Department and the CBP Explorers Post 3103 helped our homeless children celebrate Christmas. The agents and explorers provided the children with gifts, non-perishable food items and spent time talking and playing with them on Christmas Eve. ​Denny’s restaurant and staff, organized a Toy Drive to spread the Christmas spirit to our program’s students. They collected many gifts and gave the children the experience and joy of having a gift this Christmas season. ​Mrs. Diana E. Clough, Project Coordinator, was named Building Community Hero by the Building Community Workshop based in Dallas, Texas. BC recognizes people that inspire by striving to bring greater economic, social and environmental justice in their communities. Brownsville I.S.D. students, parents, department personnel and administrators donated canned goods to make the Superintendent's Annual Thanksgiving Canned Food Drive a success. Items were shared with the families in our program. From each person that donated, to all employees who helped to get these goods to our families , thank you! ​​Working to make a difference, Denny’s restaurant and staff, in collaboration with Kid’s Café and Mr. Kenneth Parks, provided a Thanksgiving Meal for families going through difficult situations and facing homelessness. The celebration included various community volunteers who livened up the dinner by singing and dancing with the children. ​Mr. Kenneth Parks was recognized by the State Board of Education (SBOE) in September 2015, honoring him with the Heroes for Children award. Mr. Parks has been a volunteer for many years. He works to bring help and donations of food, holiday presents, a mobile medical unit and other items to the many homeless students who attend the district.